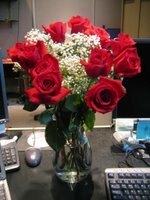 My wife and I celebrated our wedding anniversary on October 6. I was a little late to work that day as I had to take care of some matters for the kids. 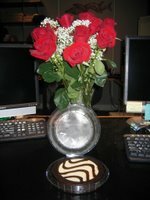 When I got to work, I was surprised to see this beautiful bouquet of roses, a cheesecake, and a lovely card on my desk. My wife had bought these items on the night before and hid them in her car. 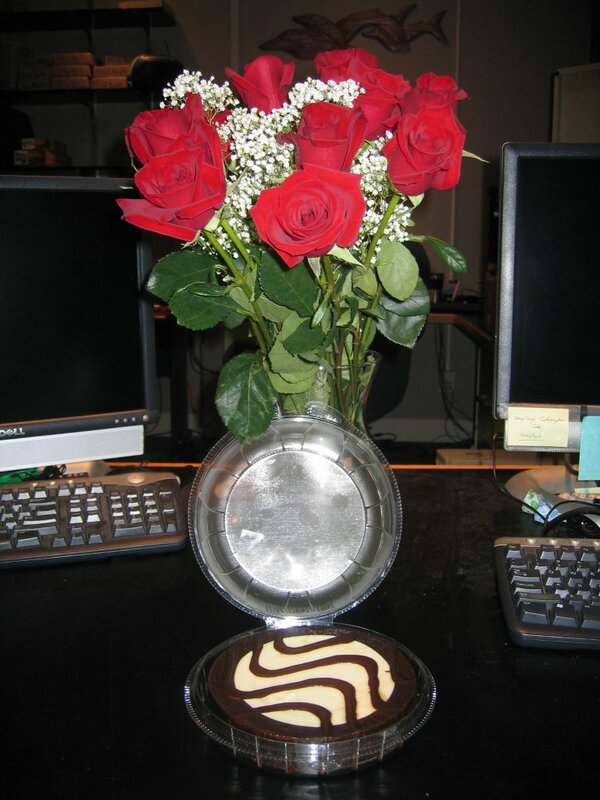 She snuck into my workplace early and left me these gifts. I was truly surprised, felt extremely grateful, and very happy. I love you, Honey and Happy Anniversary!